Kim Jong Un, chairman of the Workers' Party of Korea and chairman of the State Affairs Commission of the Democratic People's Republic of Korea, paid an unofficial visit to China from March 25 to 28 at the invitation of Xi Jinping, general secretary of the Central Committee of the Communist Party of China, president of the People's Republic of China and chairman of the Central Military Commission. In the speech that he delivered at the Great Hall of the People, Kim Jong Un asserted that they are in the midst of a new situation on the Korean peninsula and that peaceful environment and stability in the region are critical. He mentioned correspondences held for "the promotion of bilateral friendship and coordination of the pressing problems concerning the situation on the Korean peninsula, reaffirming our common commitment to consolidate the socialist systems of the two countries and ensure wellbeing and a bright future for the two peoples." He emphasised that the WPK and the Korean people feel very pleased with the brilliant successes and the ever-improving international prestige of China. 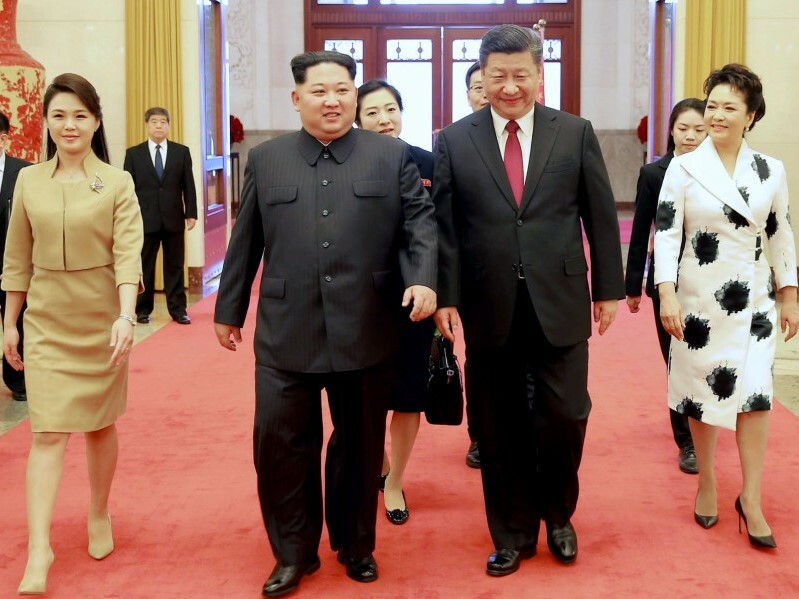 During the correspondences, Kim Jong Un also invited Xi Jinping to make an official visit to the DPRK. In the letter that he wrote to Xi Jinping after his first foreign visit, Kim Jong Un stated that socialist cause of the two peoples has entered a new stage of its development, defined the DPRK-PRC friendship as "a valuable legacy left by our revolutionary forerunners and a treasure common to us" and wished great successes in the "efforts to build socialism with Chinese characteristics in the new era." Meanwhile, a number of signs of an atmosphere of reconciliation and compatriotism on the Korean peninsula have occurred since the 23rd Winter Olympics given reciprocal visits of high-level delegations between the north and the south. On April 2, an art troupe of the south side, including the minister of Culture, Sports and Tourism, performed in Pyongyang. The last song played at this event was called "Our Wish Is Reunification".